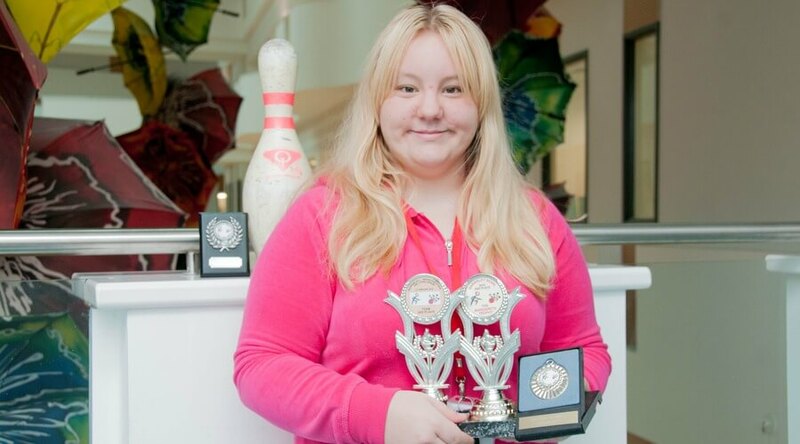 Barnsley College student Chelsea Smith has caused a stir and won silverware after discovering a passion for ten-pin bowling. Chelsea, who is studying Level 1 Childcare, has helped Barnsley Youth Bowling Club (BYBC) claim two trophies since taking up the sport. The 16-year-old, of Redhill Court, Redbrook, was part of the successful BYBC team which triumphed in a challenge match against Manchester Youth Bowling Club and also claimed The Margarets Trophy after coming in first place in a competition among BYBC players. Chelsea said: “I have been playing for two years and my first ever competition was in 2015, when I got a score of 181. For more information on studying at Barnsley College, call 01226 216 123 or email info@barnsley.ac.uk.